Why has Satyam captured in throng of Rebranding ? 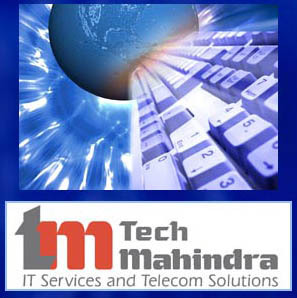 Satyam is known as top Five branding IT company in India and after taken by Tech Mahindra , the question is arise , will it benefited for tech mahindra for rebranding Satyam . Because , Ramalinga Raju has committed fraud and whole goodwill with the name of Satyam has distroyed . If this brand will continue , the people will also remember the fraud accident when they will deal with this new company. Satyam has made his name as brand from many years and only one accident can not distroy its loyality in world market . Satyam also can save money of advertising because , if a new brand is arise instead of Satyam , The Tech Mahindra will expand many crores of rupees for rebuild its new rebrand . So , Satyam has captured in throng of Rebranding in real sense . Accounting ! Answers: Why has Satyam captured in throng of Rebranding ?